Representatives from the United Paraprofessional & Teaching Assistant Association march in the parade with more approximately 40 school and community groups including the Port Authority Pipes & Drums and Honor Band, the Brookhaven, Mastic and Mastic Beach Fire Departments, NYS Assemblyman Dean Murray and more! This year’s homecoming festivities were a great success! 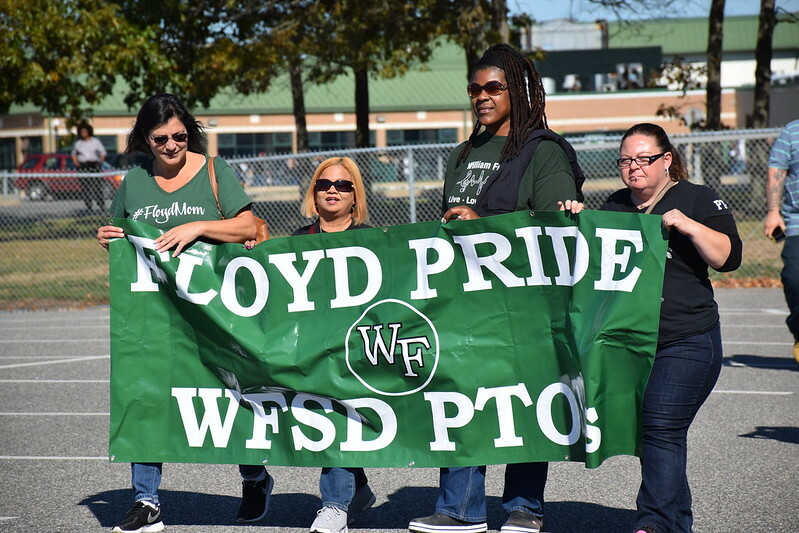 Beginning with the pep rally on Friday afternoon and the homecoming dance and crowning on Friday night to the homecoming parade and homecoming game on Saturday, participants and spectators showed off their William Floyd pride and spirit! The weather was perfect and the reigning Suffolk County Champion William Floyd Colonials did their part by defeating Sachem East 35-7 as they continue the march to defend their title and quest for a sixth Long Island Championship! 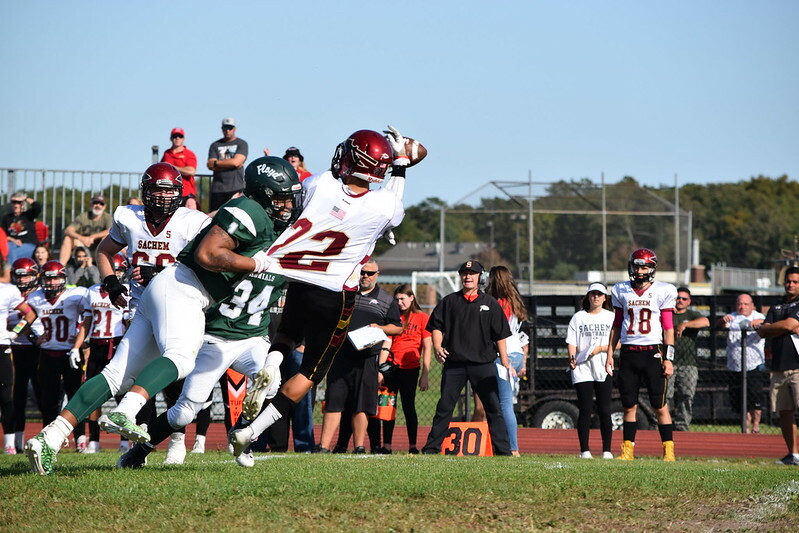 In the game, quarterback Robert Taiani led the Colonials with 10/12 passing for 265 yards and two touchdown passes – one each to Brandon Zack and Jordan Clinton. Nick Silva rushed six times for 95 yards and Mack Driver added two rushing touchdowns. Keith Winfrey also returned a fumble for a touchdown in the first half. At halftime, the varsity cheerleaders and Rockettes dazzled the crowd with their moves and the homecoming court was introduced including Homecoming King Evan Meinke and Homecoming Queen Sofia Galvez. Click these links for videos of the Pep Rally and the Parade! Please enjoy the images of homecoming in the galleries below!